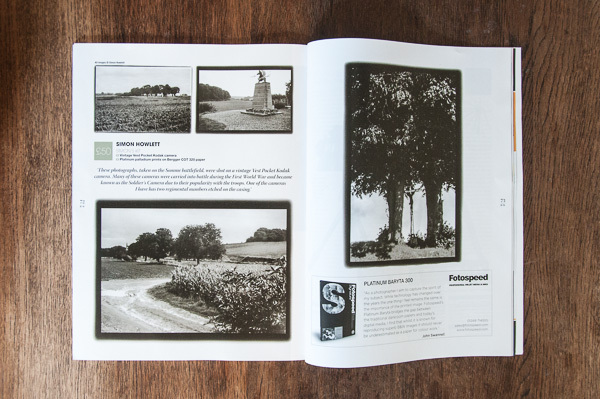 Four of my platinum/palladium prints have been published in the April issue of Black + White Photography magazine. The images were made with a vintage Vest Pocket Kodak loaded with Efke R100 film during a visit to the Somme, Arras and Ypres in 2015. I returned with 18 rolls of film; more of these images can be seen in 'The Great War' gallery.